The Dodge Challenger is built on the same heavy bones as its Charger sibling, and has even received all the same engine options. But the Challenger has never felt the sweet, sweet love of powered front wheels, meaning all across the great white north, the big coupe has been relegated to dark lonely garages during winter time. But this stops now. 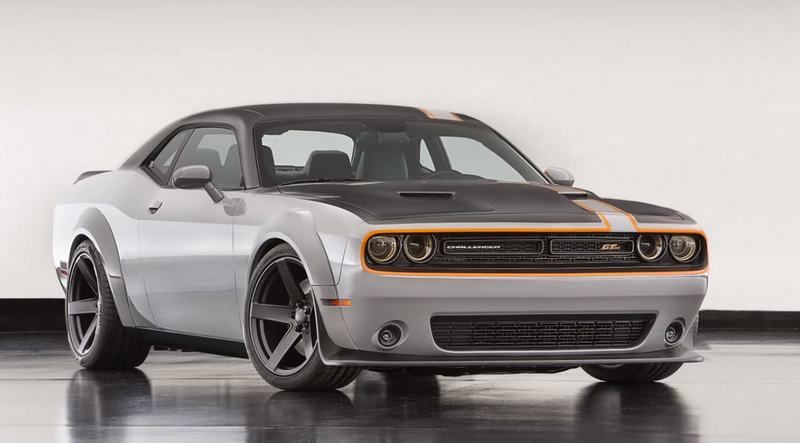 We kind of expected Dodge to roll out a production all-wheel drive Challenger ever since the brand brought a basically-production-spec V6 all-wheel drive Chally to SEMA last year. Anytime an automaker rolls out something that boring and production-feasible, I begin to wonder how much of a “concept car” it really is. And then just last month, we reported an Automotive News story that said Dodge’s future lineup would include a V6 AWD Challenger called the “Challenger GT,” which would launch this fall. Of course, this was all unconfirmed. But hop over to the EPA’s fuel economy website, and you’ll see mpg ratings for a “2017 Dodge Challenger GT,” which, as confirmed by the “specs” tab, is all-wheel-drive. And in case you’re curious, the fuel economy rating is 18 city, 27 highway and 21 combined, compared to the rear-wheel drive version, which scores 19 city, 30 highway 23 combined. So, yeah, you give up a couple of MPGs over the standard V6, and you don’t have a V8 or manual transmission option, but you also get to rip awesome all-wheel-drive donuts in the winter instead of having to drive your rusted out beater Jeep Cherokee. Can’t say there’s anything wrong with that.